Written by Michael Tatarski. Photos courtesy of Krossing Over. Now in its third edition, the Krossing Over Arts Festival begins later this week and is expanding both in scope, with more events planned, and reach, as Hanoi is now on the schedule as well. 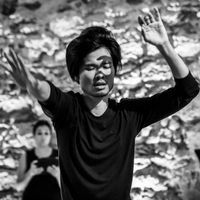 Building on 2018's successful festival, Sebastien Ly, a French-Vietnamese choreographer and dancer and the Krossing Over founder, hopes to get audience members more involved through artist talks and workshops this time. "As we have activities in both the afternoon and evening, we really focus on the talks," Ly tells Saigoneer. "It's not something on the side; it's really moments where the audience can connect to the artists in a different way." Last year's edition followed the theme of the 1972 Italian novel Invisible Cities, written by Italo Calvino. This time, the theme is 'Roots,' and over 30 artists from around the world are taking part in performances at 15 venues across Saigon and Hanoi. "This can be seen in different ways, both obviously roots of trees, but also our own roots," Ly explains. "All of the films and performances are crossed by this theme." The opening performance, 'At the Gate of Oblivion,' follows Ly's own journey to discover his roots. "It's a piece I created and the story is about how I came to Vietnam in 2016 to find inspiration for a dance piece, so I followed the footsteps of my grandparents," he shares. "During that one month of research I met artists from Saigon and places for art that made me feel like I really wanted to be part of it, but I also wanted to connect those people and places, and that is now Krossing Over." That particular show will be interactive, as audience members will be invited to write stories about their grandparents. Several of these tales will then be read during the performance, and audio recordings of Ly's grandmother will also be played. Artist collaborations are another focal point of this year's festival, particularly on the closing day. "The final day is really focused on the collaboration between Vietnamese and other artists," Ly says. This show, set to take place at the Youth Cultural House, features 'Tree of Life,' performed by Benoit Bottex, John Huy Tran and UDG Vietnam; 'White Language' by Sunyoung Grace Lim and Vu Minh Thu; and 'Night Lullaby' with Dang Minh Hien, Phan Thai Binh, Phan Tieu Ly and Sung A Lung. One of Krossing Over's premier shows this time around will be held at the Opera House. "We will host 'Roots,' which is a dance piece from a French choreographer, it's hip hop style," Ly explains. "It's been performed in Europe and the United States and I'm really happy we got it." A new addition this year, which is in line with increasing audience connectivity, is the festival house, which will be hosted at IDECAF. "It will open at 6:30 on April 2, and there will be videos and photos of past performances, and always someone there to share information and sell tickets," the organizer says. The expansion to Hanoi, which will run from April 13-21, is a big step as well. Artists from Hanoi asked Ly about that possibility after last year's festival. "I wanted to make sure what we built was stable, and it was the right time to do it now," he says. "I feel that this energy and the work of the artists can be seen in both cities." While it is possible to attend just one or two performances during the festival, Ly hopes that people will do more than that. "I would like visitors to follow the festival," he says. "We made a path where you have access to the whole thing." He continues: "I really feel that the festival is not just about watching a performance, but it's to really go on a journey where you can experience a performance and go deeper with questioning the artists during the talks, practicing with your own body during the workshops with the artists - it's a one-week journey." Visit Krossing Over Arts Festival's website for more information on performances, venues and tickets. Saigoneer is a media sponsor of the festival. Twenty discounted tickets are available for readers interested in attending opening night on Friday, April 5. Please contact Krossing Over with the code NVHTN.